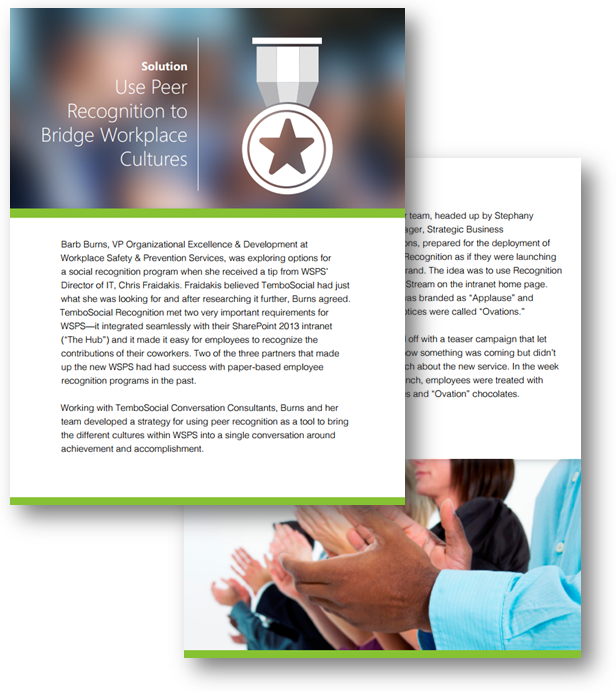 Working with TemboSocial, WSPS was able to develop a strategy for using employee recognition as a tool to bring the different cultures into a single conversation around achievement and accomplishment. TemboSocial Recognition was the tool of choice for WSPS as it met two of their very important requirements - it integrated seamlessly with their SharePoint intranet and it made it easy for employees to recognize the contributions of their coworkers. With a creative teaser campaign to launch the program and strong encouragement and participation from senior leadership, the program kicked off with huge success.